Download the sponsorship brochure for this event here. Whatever your budget and requirements, sponsoring this event is a cost effective, hassle-free means to successfully target the key decision makers. We can offer you a wide range of packages ranging from the high level platinum package, which offers maximum exposure for your company both leading up to and during the event and includes an exclusive speaking position for a company representative; down to lower cost product branding opportunities, which are designed to compliment or act individually in support of your marketing strategy. Furthermore, sponsorship at this event is not simply a stand alone, one-off marketing opportunity, but can offer you the chance to become involved on a regular basis in a pivotal and talked about industry event, and increase your exposure amongst both existing stakeholders and new market entrants throughout this dynamic and exciting sector. Over time, these events develop a brand of their own and a reputation for quality which adds value for all organisations that are associated with it. 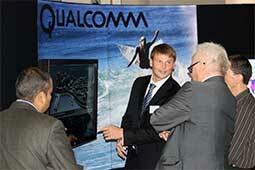 Why sponsor a Forum Global event? • The chance to promote your organisation to delegates including European Institutions, key policy makers and decision-makers, C-level executives, national government officials, trade associations and many others. • The opportunity to strengthen corporate and community relationships and an unrivalled platform to expose your organisation to key markets. 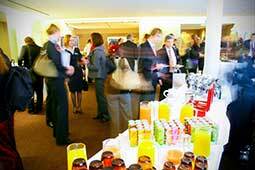 • Interact with delegates face to face during the numerous networking opportunities. • Benefit significantly from a highly sought after platform to share your view to a keenly interested, relevant and, above all, influential audience. Who attends Forum Global events? Please see below for an example of the breakdown of attendees at a typical Forum Europe event. There are various sponsorship packages available for the event, to offer optimum exposure for all budgets available. These range from higher end sponsorship packages giving an exclusive speaking position and priority branding, down to lower cost branding that still provides high visibility and a great value opportunity to raise your profile among the leading decision makers in this sector. For more information on sponsorship or exhibiting please download the sponsorship brochure here or contact Anne-Lise Simon at anne-lise.simon@forum-europe.com or on +44 (0) 2920 783 023.